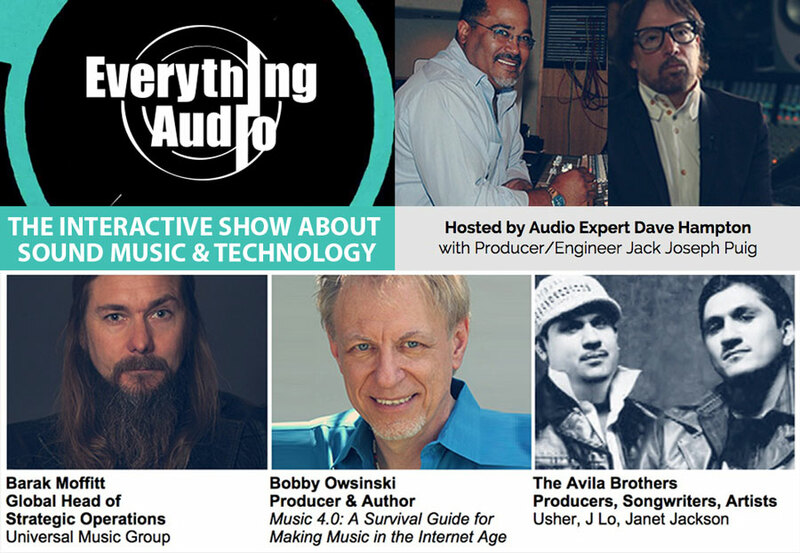 Check out the very cool Waves Everything Audio Webshow with host Dave Hampton. 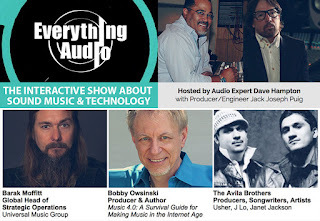 I'm appearing along with Barak Moffitt (Head of Strategic Operations - Universal Music Group) and producers, songwriters and artists The Avila Brothers (Usher, J Lo, Janet Jackson). 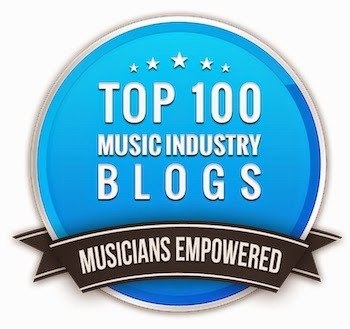 We'll be talking about the new business of music (or the new music business, depending upon how you look at it), and you'll get some great insights as well as some answers to some Twitter questions. 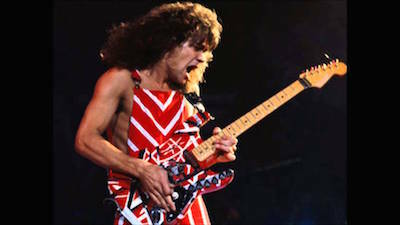 Eddie Van Halen's been in the news a lot lately so it's a good time to inspect one of his most famous songs. Here's the isolated guitar from "Panama," the third single off the hugely successful 1984 album. The record was recorded in Eddie's 5150 home studio and produced by Ted Templeman, who had also produced the band's previous albums. 1. On the final mix, the guitar is panned to the left and the effect to the right (in typical early Van Halen fashion) but here it's up the middle. That means that we can't analyze the actual sound as much as the playing. 2. The interesting thing is that there's no sweeting. Everything is done by a single guitar just as it would happen in concert, even the solo. There might have been punches, but they're not evident so it sounds like one continuous performance. I'd love to hear that happen again on records! 3. Listen to Eddie's dynamics. He backs off in intensity during the verses and bridge to leave space for the vocals, and brings it up when the excitement is needed in the choruses - again, just like in a live performance. 4. Also note Eddie's formidable rhythm chops. He's rock solid as he drifts between lead, fills and rhythm, something absolutely required in a power trio. 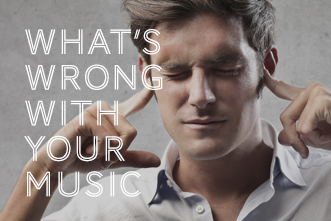 Want To Know What's Wrong With Your Music? Here's something that I just have to get off my chest - again. I posted this 3 or 4 years ago, but it bears repeating once more. Readers often send me their music to comment on, and while I'd love to get to everything, it's just not possible. That said, there are a number of traits that I notice among the songs that I do listen to that I thought were worth a mention, since they encapsulate the typical problems when they do appear. Before you send me a link to something to listen to, make sure that your song doesn't have any of these following problems first, which will save us both some time. We're assuming that the song is good in the first place, of course, since everything starts there (that's another discussion altogether). 1. No groove: Every song has to have a pulse and it has to be made obvious so the listener can feel it. Every genre of music has it. If it's not there, nothing else counts. Sometimes I hear songs where the groove just isn't there because of poor playing, or it's not made obvious in the mix. 2. Bad drum tracks: I don't mean the sound, but the actual playing. A number of people have sent me their "masters" recently that have such horrible playing that the only person that's ever going to like it is their mothers. What do I mean by bad playing? Rushed or slow drum fills, uneven tempo that's way too noticeable, and floppy uneven kick and/or snare hits won't cut it. The problem is that most musicians who've never worked on a real record project before are just not critical enough and let too much go that should have been re-recorded, fixed or edited. Your basic track is the most important thing you'll record next to the vocal. Make it as perfect as you can before you move on. 3. Tracks out of the pocket: This means that a part doesn't groove against the rest of the track. The number of songs I get with vocals that rush, or the bass being out of the pocket against the drums, or another instrument that way too early or too late is really a shame. Usually the songs I get have their owners more worried about the sound than the playing, but great playing beats great sound any day. 4. Out of tune: Tuners are cheap. Use one. There's no excuse in this day and age. 5. Bad recording: The real key to a great sound is a great player first, then a great instrument, although a great sounding instrument can make a mediocre player sound a lot better. Get those two first and everything else will take care of itself. 6. 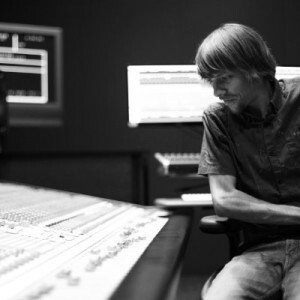 Bad mixing: Mixing is so much more than balancing instruments and adding effects. It's finding the groove and building around it, then finding the most interesting element and emphasizing it. There's a lot of really good info out there if you're mixing chops aren't up to par. Try my Audio Mixing Bootcamp course on Lynda.com for starters (here's a free 7 day pass), or learn some tricks of the pros with my 101 Mixing Tricks program (you can start with 4 free tricks). Here's the bottom line. There's a reason why pros exist. Spend the extra money to work with one, at least for one project. You'll be surprised how much you'll learn. Oh and by the way, if you're going to ask that I critique your song, send me a link that I can stream (even YouTube is OK). DO NOT send me a file. There's a legal issue involved and it fills up my hard drive and takes time to download. I can't promise that I'll listen as my time is limited, but I will try. Also understand that sometimes there's just not much to say about a mix. You made some decisions that reflected your creative taste. They're not right or wrong, but they're probably different from the way others might've made them. They're not right or wrong either. Some questions just don't have an answer. What Is A Speaker Baffle And Why Is It So Important? Whether it's a guitar or bass cabinet, your monitor speakers or the speakers in your car, one of the most important elements to how a speaker ultimately sounds is the way it's mounted. 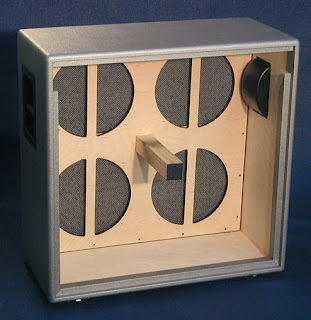 Here's an excerpt from "The Ultimate Guitar Tone Handbook," which I wrote with Rich Tozzoli, about one of the more important parts of a speaker cabinet - the baffle. "One of the most overlooked parts of a cabinet is the baffle (seen on the left), which is the board that the speaker is directly mounted on. Perhaps more than any one piece of the cabinet, this has the most influence on the sound. 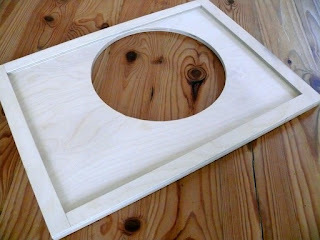 The type of material (pine, birch, MDF), the thickness, and the way it’s mounted all contribute to the sound. Thin plywood tends to be louder and have better low end than pine of the same thickness. 3/4 inch birch has more projection and gives you more of the speaker sound and less of the cabinet itself. Closed-back cabinets will be tighter and have a slight edge with birch baffles. The thickness of the baffle has a great deal to do with the sound. For instance, most tweed amps from the 50’s used either ¼ inch or 5/16 inch pine, which sounds open and loose. Amps made in the 60’s generally have a thicker baffle and have a tighter, cleaner sound as a result. The way the baffle is connected to the cabinet also makes a big difference. Fender used what’s known as a “floating baffle” for a long time, which provided a bigger, more “organic” tone. A floating baffle is attached at 2 points either top and bottom or side and side. The 1959 Fender Bassman is a good example of a top and bottom floating baffle while the Super Reverb is a good example of a side to side floating baffle. The Bandmaster 2×12″ speaker cabinet does not have a floating baffle. It is attached on all 4 sides to be very rigid and tight. A thinner baffle works best for a floating baffle because it vibrates more and those vibrations blend with those of the speakers. If you ever open up a closed-back cabinet, you’ll notice that there’s a piece of wood in the center of the cabinet that connects the baffle to the back panel (seen on the left). That’s designed to allow the baffle and back panel resonate in phase, and without it you’d have a lot of phase cancellation, and a cabinet with a lot of frequency response peaks and dips as a result." I'm not so sure how useful this is, but Google has built a way for you to share your URL via an audio tone. 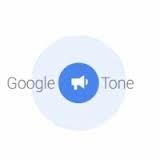 It's called Google Tone and it will work with any computer using Chrome and the Google Tone extension. What happens is that if you click on the Tone icon, it sends out an audio tone that will be detected by other audio computers in the room, which would then switch their browsers to the same URL. Apparently the Google Research team worked pretty hard on this. The first codec sounded so horrible that no one would use it. The second codec was beyond the range of hearing, and some built-in computer microphones wouldn't track it. This current codec uses a system that most telephone systems use called dual-tone multi-frequency signaling, which is much more pleasant to the ear and much more effective as well. You can download the extension here if you're interested. Can anyone think of a use for this? Commercial studios of the future will be different than what we've been used to in the past and Hybrid Studios may well be a look into what we can expect. I'm lucky enough to have co-founder Billy Klein on this week's podcast to talk about the concept and marketing of the facility. Billy also has some great credits, from Adele to Keith Urban to Shakira and many more, which we'll also talk about. In the intro I'll take a look at the 8 social media mistakes that many artists, bands, songwriters and musicians often make, as well as answer a common question I get about building your own studio, and look at some basic acoustic treatment elements. Remember that you can find the podcast at BobbyOInnerCircle.com, or either on iTunes or Stitcher. There used to be a lot of companies that offered DIY kits for audio gear at one time, and many of us in the business were introduced to electronics that way (myself included). Alas, over the years these companies mostly fell by the wayside once gear became so inexpensive that it took much of the incentive away from building your own. Then there was the liability issue of someone potentially hurting themselves either in building or operating a kit that scared many companies away. It looks like a number of companies are now willing to get back into this market, and one of them is MOD Kit, a division of Amplified Parts. Although the company features a wide range of pedal kits, one of its cooler products is the MOD 102+ guitar amp kit. The MOD 102+ is a simple circuit based upon the circuit design of an old Gibson GA-5 amp from the 50's. It's about as simple as you can get with just two tubes, but that will get you around 8 watts of creamy guitar heaven that's perfect for recording. The Class A circuit is based around a standard 12AX7 preamp tube and an EL84 power tube, so it has more of a Vox "British" sound, which could be a perfect compliment to the more common 6L6 (like a Fender) or EL34 (like a Marshall) that you might have around. The "+" version of the original MOD 102 has a number of features that customers inevitably asked for or added themselves, such as a standby switch, and push-pull switches for the bass control that provides mid-boost, the treble control for top-boost, and a "turbo" setting on the volume control. You have to supply your own speaker, but at a cost of only $265 and a few hours of your time, this thing looks like a winner. And you'll learn a bit about electronics along the way. Check out the other kits available, including other amp versions, at MOD Kit as well. Here's an older video from MOD Kits that doesn't feature this current product, but you'll get the feel for what they offer.